Here at Foxx Pools, we pride ourselves with working with you to create an environment matching your unique backyard size with your personal taste and lifestyle. We strive to provide you with your vision of an outdoor living space. 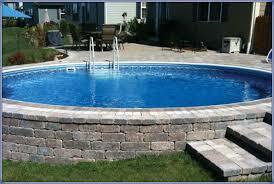 Here at Foxx Pools, we have a passion for integrity and excellence in pool building. Charles Burger over the last 43 seasons has built over a thousand pools. Each custom tailored to complement the customer's design ideas. Along the way, we've learned that no two pools nor two customers are alike. Building one pool at a time, we pride ourselves at taking a personal approach to your project. Whether its traditional or contemporary design, or high tech electronics to the basics, we can deliver a full range of swimming pool and landscape options. Additionally, we are proud to offer the range of a simple pool installation to the turn key project. 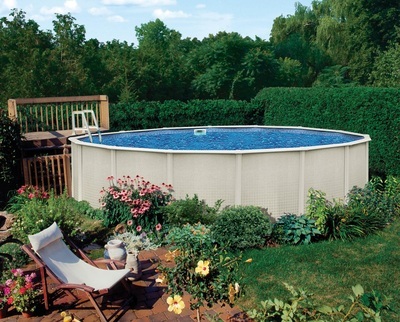 As your local Fox Pool dealer, we are able to offer both standard and custom designs. The X-Brace structure allows us to finish your project without having to wait a season as many other manufacturers do. This is the newest addition to the pool industry. Although installations began 20 years ago, popularity has escalated these last 5 years. 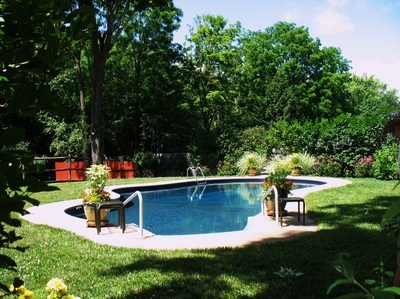 This is the pool that combines the aboveground and inground design to accommodate any yard. No longer just sheets of metal, today's aboveground pool is designed to stand the test of time. This is a great start up option to explore pool ownership that is high quality, affordable and adaptable to any ground condition.